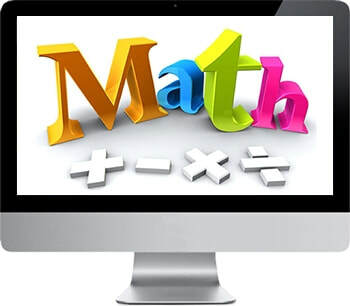 ​Math 500 is a full-year elementary math course focusing on number skills, numerical literacy, and geometric concepts. In it, students will gain solid experience with number theory and operations, including whole numbers, decimals, and fractions. In addition, students will develop their understanding of measurement and two- and three- dimensional figures. This course also integrates mathematical practices throughout the units, as well as introducing students to algebraic, statistical, and probability concepts. ​​NFC Academy works diligently to provide additional materials to our homeschool students which will help bridge the gap from a traditional classroom to the home with a teacher who does not have direct daily live interaction with the student. These supplementary videos which are typically from Kahn Academy or available through research in YouTube are screened prior to being included. We recommend screening of such material by the home to avoid content that may be unacceptable in an advertising promotion. Download a copy of the Math 500 Course Overview. You will find the goals for the course and the grading components and the grading scale for all NFC Academy courses. Comparing and Ordering Whole Numbers Made easy!